Thursday, Friday, Saturday 10:30pm - 4am. 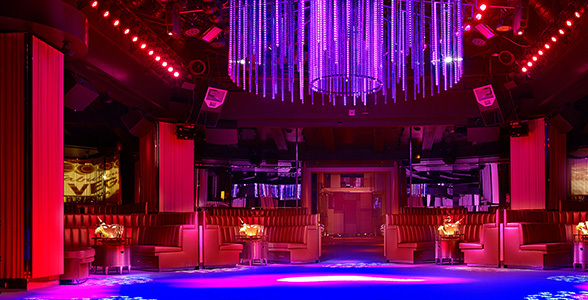 Since opening its doors on April 28, Intrigue Nightclub in Las Vegas has changed the clubbing concept for the better. 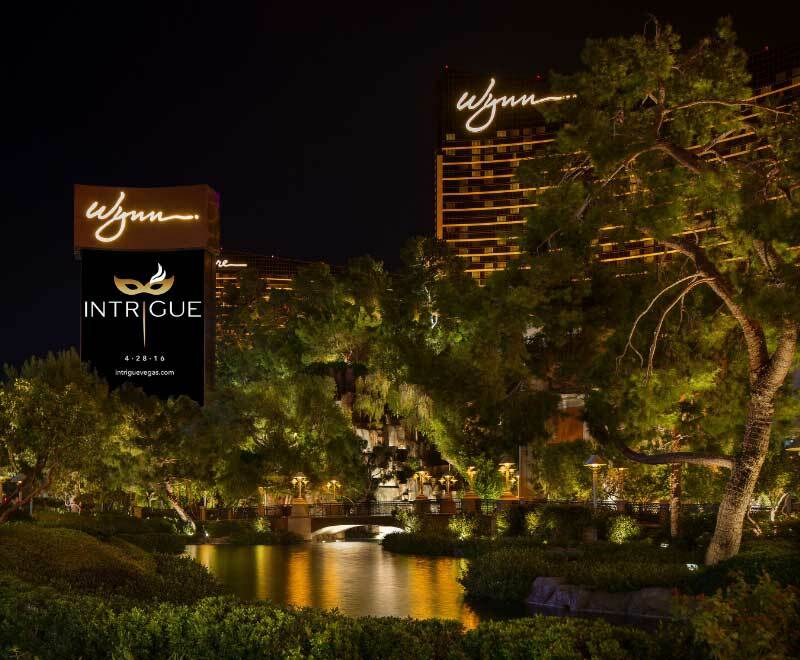 Situated in the Wynn Las Vegas, Intrigue offers 14,000 square feet of elegant space that promises to “captivate your senses”. Along with all of its exceptional features and amenities, there’s a few key aspects that really stand out. The first is its exclusive social media-free zone, which is popular among celebrities who seek privacy while still enjoying the overall club atmosphere. 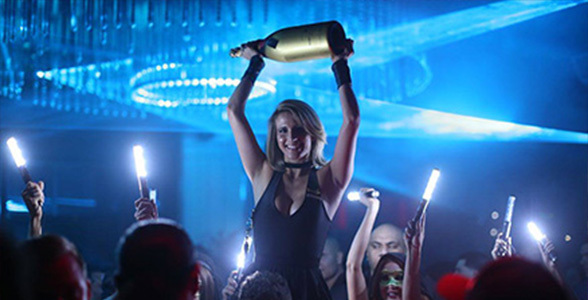 The second is the club’s popular bottle service, which provides lucky club-goers with a luxurious VIP experience. 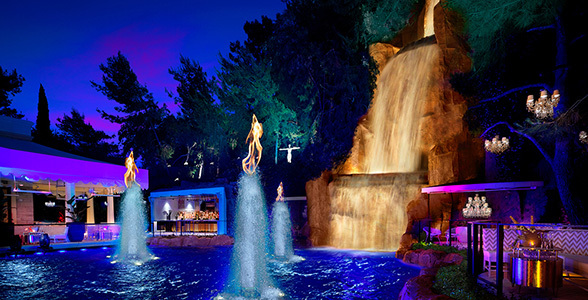 Looking to splurge on bottle service in one of Las Vegas’ hottest nightclubs? Then you’ll want to know where the best tables are at and how much you’ll be spending for prime real estate. Bottle service minimums are generally based on the day of the week and the talent that’s scheduled to perform. Intrigue will also take into account how many girls and guys are in your party. If it’s a holiday weekend, be prepared to dish out more than if it was a casual weeknight or weekend. To get a feel for how much you’ll be spending, request a quote. However, bottle service typically starts at $475 and goes up from there. The next most common question that is asked is where’s the best tables at Intrigue? While the answer is really personal preference, most sociable party-goers prefer dance floor tables. These are considered some of the best tables in the house due to the high rate of activity that surrounds them. However, they are also some of the most expensive. If you’re interested in something a little on the cheaper side, opt for a tier 3 floor table. 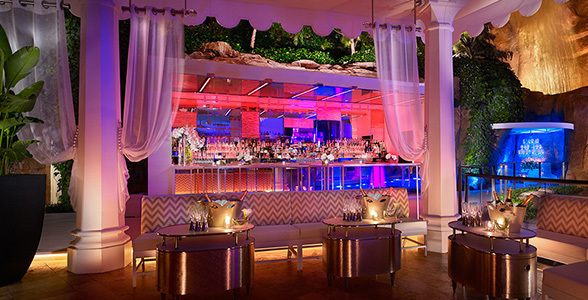 These tables provide you with a decent view of the club, without being in the middle of the chaos. You’ll find the best value tables on the exterior outdoor patio. Remember, you do not need to get bottle service to get into a club, but if you are looking to relax, you may want to. Bottle service is not just about the private table, endless bottles of premium alcohol, and dedicated customer service, it’s also about having your own “space” in the club where you won’t be bothered. Tired of dancing? Have a seat and a drink. Without a table to go back to, you’ll be stuck standing in the middle of the floor amongst hundreds of other club-goers. When you reserve bottle service at Intrigue Nightclub, or any nightclub for that matter, you’re essentially paying the club a premium for bottles, mixers, and of course prime real estate in the club. Mixers are pretty standard across most Las Vegas clubs, consisting of tonic water, lemons and limes, and your choice of orange or cranberry juices. You can also obtain bottled water or energy drinks, but these will cost you a bit extra. Your dedicated server will not just bring you your bottles and mixers, she’ll also help you mix your drinks, refill your mixers, and take away any empty glasses. If you’ve never been to a Las Vegas club or have gotten bottle service, you may not be aware that there is a minimum spend. This minimum spend is the amount of money that you need to spend on alcohol and does not include tax or a tip. The tax is generally about 10 percent, while the tip (gratuity) ranges from 18 to 20 percent on average. Of course, there are numerous perks to getting bottle service. You’ll receive expedited entry into the club, obtain bottle service almost immediately, and you’ll have the opportunity to bring girls or guys back to your table.